Fifteen Maine schoners raced across Penobscot Bay for some 4 hours on July 8, 2016. 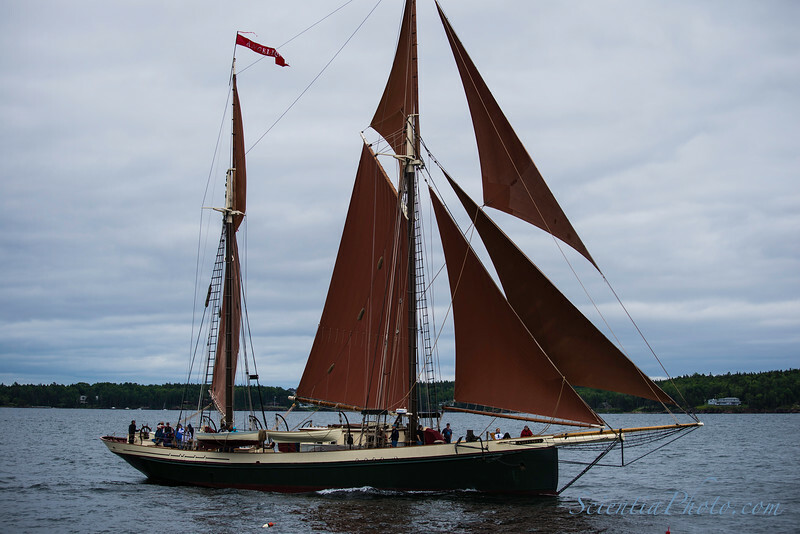 Some of the schooners date back to the 19th century; others from the early 20th. The event was sponsored by the Windjammer's Association. See http://www.greatschoonerrace.com/ for details.